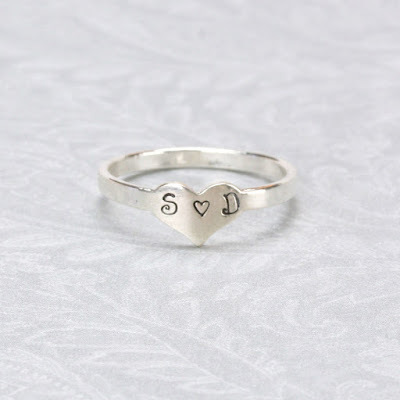 So many people love rings, especially when they can be personalized. 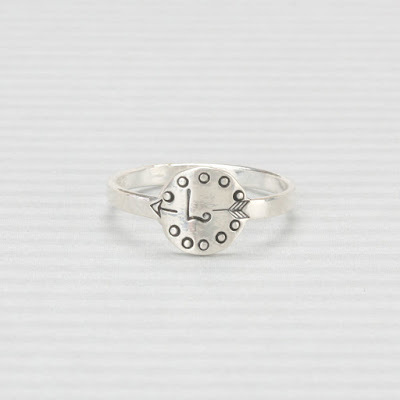 We introduced the tab ring, circle ring and heart ring. 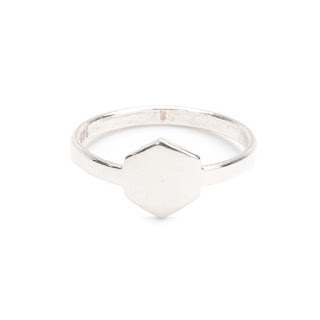 Now we have the hexagon ring! 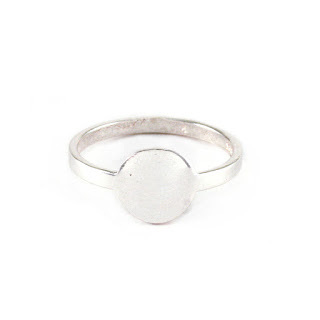 These rings are easy to stamp on and as you can see below, the impressions, well, make an impression! 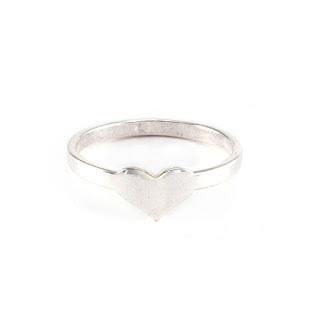 Great for gifts, selling and wearing of course. 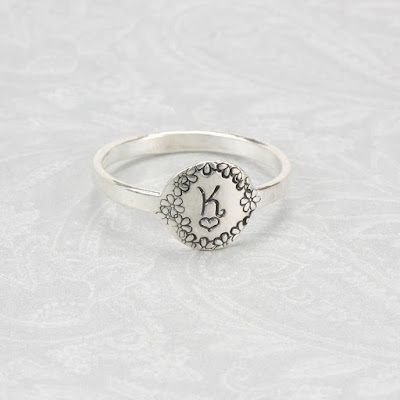 If you haven't stamped on rings before, take our Free Stamping on Rings Class to get started. 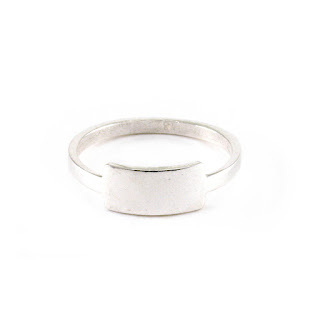 If you love rings and would like to see a bunch of great DIYs and tutorials, check out our Free Ring Making Tutorials: Ring Up Your Game post. Watch Lisa as she shows us how to use a Ring Mandrel. We used our Beaducation Original - Arrows Crossing Metal Design Stamp on the left here. As you can see by how many arrow design stamps we have, we really love arrows. Our Beaducation Original Symmetrical Branch Border Metal Design Stamp is a favorite that worked really well on our tab ring. We love the width of this tab. 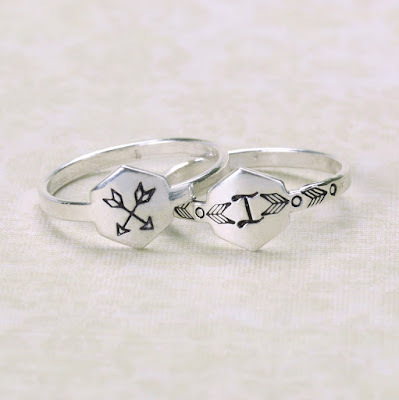 There is room to use more than one design stamp to personalize your ring. 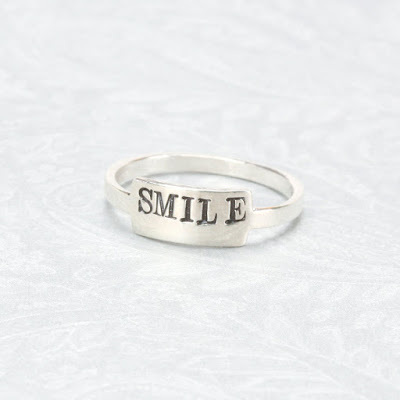 You can even fit a word on these rings. Something positive, your favorite persons name, the initials of the one you love with a heart and so much more. Get a little more decorative around the edge if you like because not only can you do it but doesn't it look cute? Small circles, flowers, hearts, our NEW Beaducation Original Tiny Diamond, Four Dot Diamond and Alpha Star Metal Design Stamps are the perfect size too! Now this is really exciting - we now offer our Heart Trio Design stamps individually! You can get a deal by ordering the trio OR you can purchase them separately here. Collect all six OR just order sizes that work best for your projects. We can't wait to see what you create - don't forget to tag us #Beaducation on Instagram and @Beaducation on Facebook. If you have already created some designs on these rings and you would like to be considered for a feature, please email Angela@Beaducation.com.